Some years ago, I was invited to meet Holocaust survivor Sabina Citron. She had just authored her book ‘The Indictment’ and her publisher arranged for us to meet at the Menachem Begin Heritage Centre. The location itself was worth the visit but Citron was a national Jewish hero and I looked forward to our interview. The breath-taking view from the Centre overlooked the Jerusalem skyline. Ms Citron arrived and arranged for us to enjoy lunch on the balcony with that breathtaking panorama. I had previously ‘googled’ Sabina Citron to gather background for our chat and was shocked to find that more entries referred to her being a ‘nazi-hunter’ than an author or holocaust survivor. During our lunch, there were more shocks to come. She was an Auschwitz survivor, and I had visited that concentration camp many times. It’s a gut-wrenching experience just to walk around. I could only imagine the horrors but often survivors were our guides and they portrayed the evil from personal experience. More than once I had to hang back from our tour group to shed a tear, gather myself and of course to pray. On one visit I met an elderly man who was so grateful Christians had made it possible for him to live in Israel. He had been a small boy in Auschwitz where the evil Dr Josef Mengele had performed painful experiments on him. Although I have lived and worked overseas, I have not known the terrible hunger, violence, pain and persecution others experienced in the Holocaust and in various locations around the world today. Christians are being persecuted for their faith in more than forty nations. The Christian Post reports more than 8 million children under the age of 5 die every year from causes stemming from extreme poverty. I baulk at the extravagance of Christmas and even the expense of the fireworks at New Year when I think of the massive need of innocent victims. Sabina described it so well. “The survivors of the Holocaust know all there is to know about indifference! We were persecuted, humiliated beyond description and eventually put to death while the world remained indifferent. Most of us still find it impossible to understand how a civilized world could close its eyes and ears, and pretend not to see or hear the voices of the doomed.” She said this to me in 2009. I wonder what the persecuted of this generation will say about our ‘civilised’ response to their crisis in years to come. How will our apathy and do-nothingness be described by the Sabina Citron’s of tomorrow? 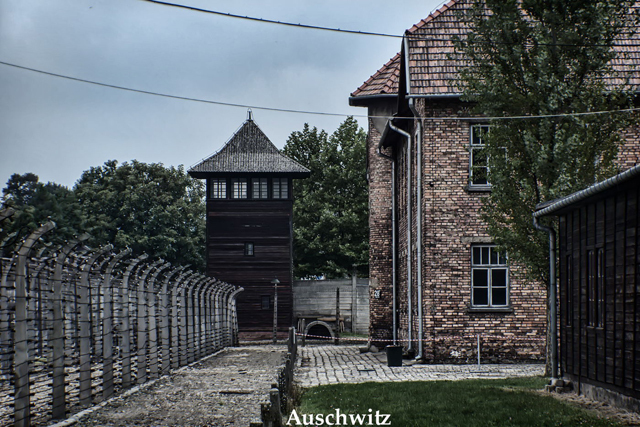 “We were taken to Auschwitz. We were given striped clothing like criminals and some wooden shoes, and then taken to the showers. We were told to strip naked and leave all our belongings behind.” Her words prompt deep sorrow and concern. But even as I reflect on them now, she may well be speaking to so many persecuted innocents suffering today. She was extremely critical of Christian anti-semitism prevalent before World War II. Sabina described replacement theology or supersessionism as a contributing factor to the Holocaust evil. “The Church’s continued accusation of Jewish guilt in Jesus’ death at the cross fuelled the flames of hatred, which only seemed to grow with time. That Jesus was crucified by the Romans, as were other ‘rebellious’ Jews, was apparently never acknowledged,” she wrote in The Indictment. Earlier she wrote about the Lord. “Jesus was a kind man who preached love and understanding, a man who was seen as a Messiah by some,” she observed. “Jesus as a Jew, was flogged by the Romans as he proceeded to his crucifixion, a punishment regularly used by the Romans,” Sabine wrote. Sabina left Europe and lived in Canada. She founded the Canadian Holocaust Remembrance Association. In latter years she returned to live in Israel. My visit with her was a joy. She shared her heart with me. The memory of that encounter brings the persecuted vividly to mind. I pray we will not to continue to ignore their plight in the midst of celebrating the joys of Christmas. After all a famous carol begins, ‘Joy to the world…” I believe we have a Kingdom responsibility to play our very active part.